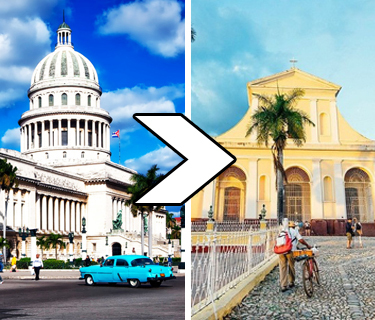 Enjoy a panoramic city tour through modern Havana. 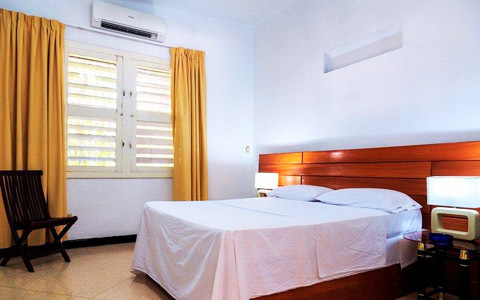 Travel through neighborhoods such as Central Havana, Vedado and Miramar. You will ride past University of Havana, Revolution Square and principal avenues of Havana. The mornning will continue with a visit to Tobacco Factory where you will learn about the process of production and processing of Cuban tobacco. You will receive a Cuban cooking class with an experienced chef while you attend the preparation of your own lunch. After lunch, you will visit the famous National Hotel where you will taste a piña colada in the patio of the Hotel, with a beautiful view of the Havanan boardwalk. Nearby you will visit the Capitol of Havana, Central Park, Hotel Telegrafo and National Theater. Required age: Between 10 and 60 years.